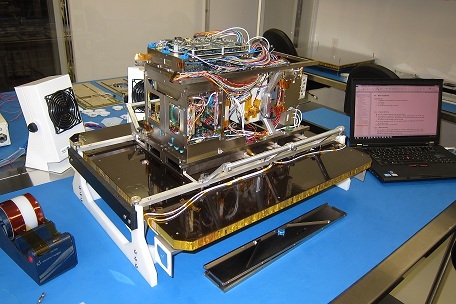 The Next-generation Earth Monitoring and Observation – Aerosol Monitoring (NEMO-AM) satellite is a 15-kilogram, 20x30x40cm microsatellite under development at the Space Flight Laboratory (SFL). The satellite houses a compact custom optical instrument that acts as a multispectral polarimeter to observe atmospheric aerosols at different scattering angles. Instrument images same target at up to 7 look angles, spaced minimum 30 secs apart. 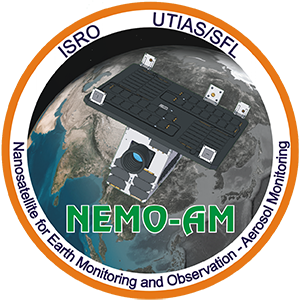 NEMO-AM is being built by SFL for the Indian Space Research Organization (ISRO). The mission is designed to cover an area of up to 80,000 square kilometers each day and will be an important national asset for atmospheric monitoring. ISRO is providing scientific expertise and defining science requirements. Algorithms to process and interpret science data from the mission are also being developed. The spacecraft will be operated from ISRO’s ISTRAC facility using SFL-provided ground station hardware and software.